Mountain Art Quilters: March brought a special visitor -- internationally recognized and yet our own local quilter, Velda Newman, shared her quilts and techniques with Mountain Art Quilters. 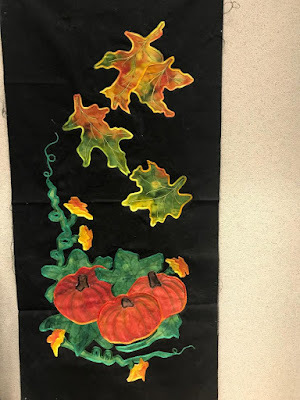 Thank you, Velda, for a stunning presentation. 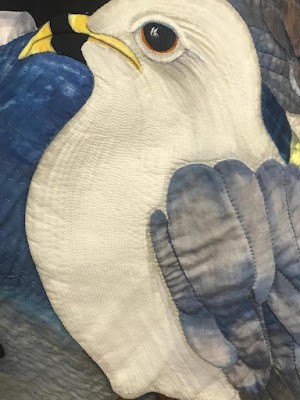 Feel free to come again any time. 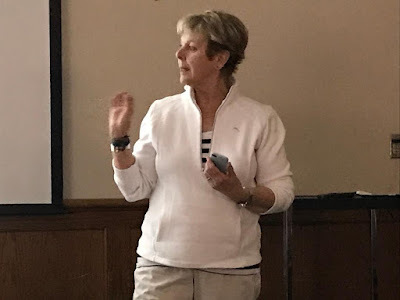 And thank you, Julia Broughman, for your excellent photography. 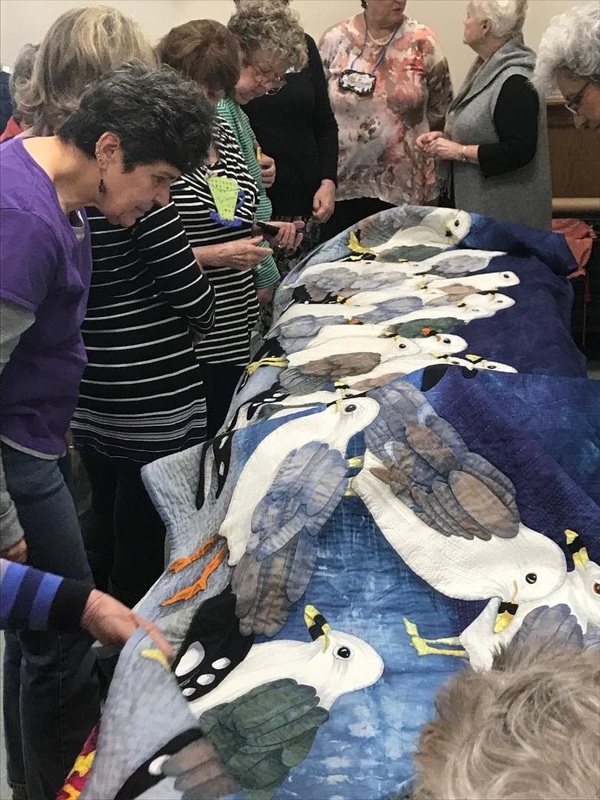 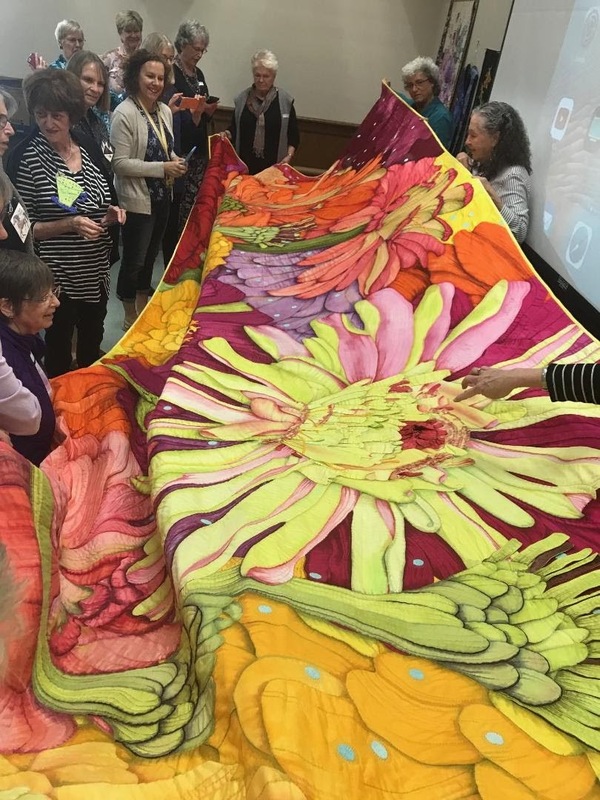 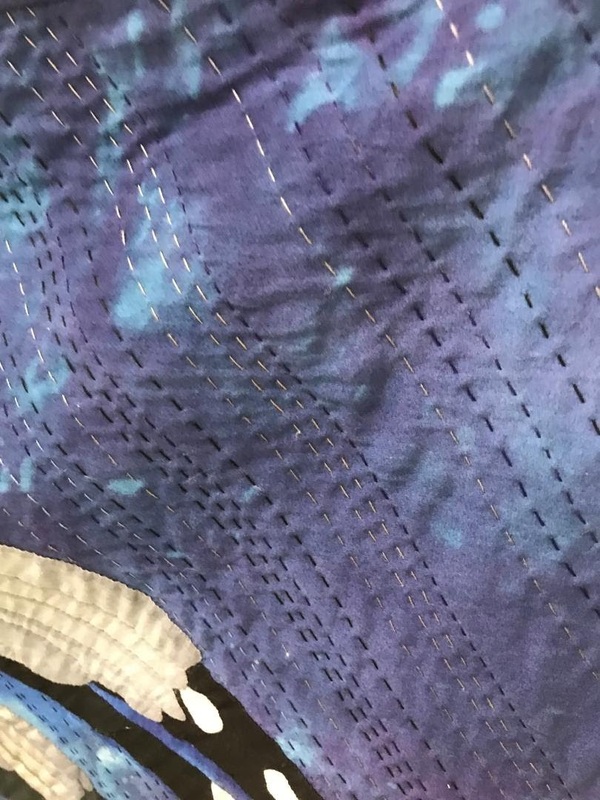 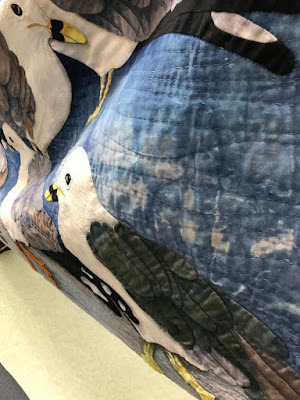 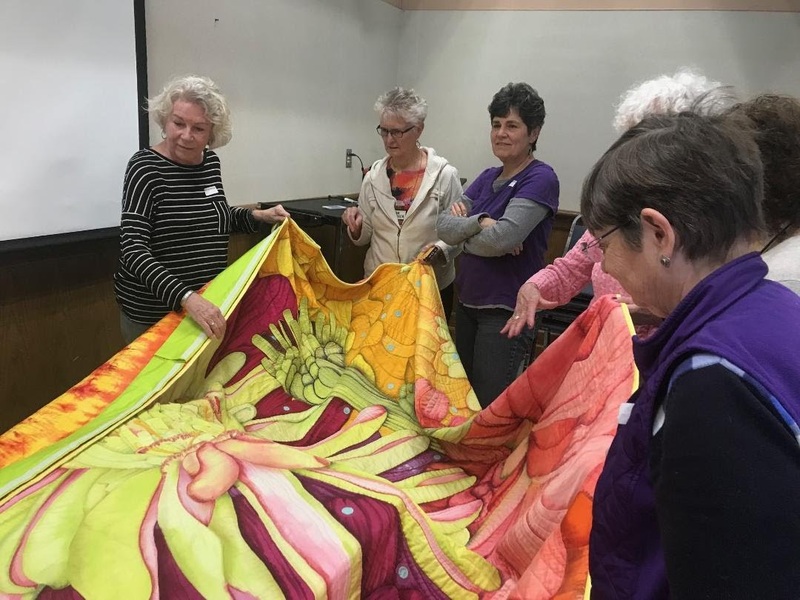 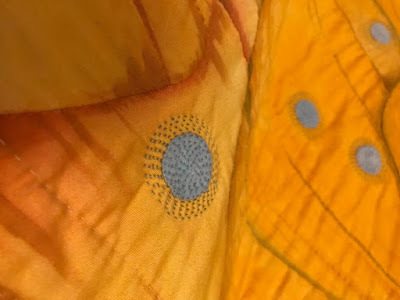 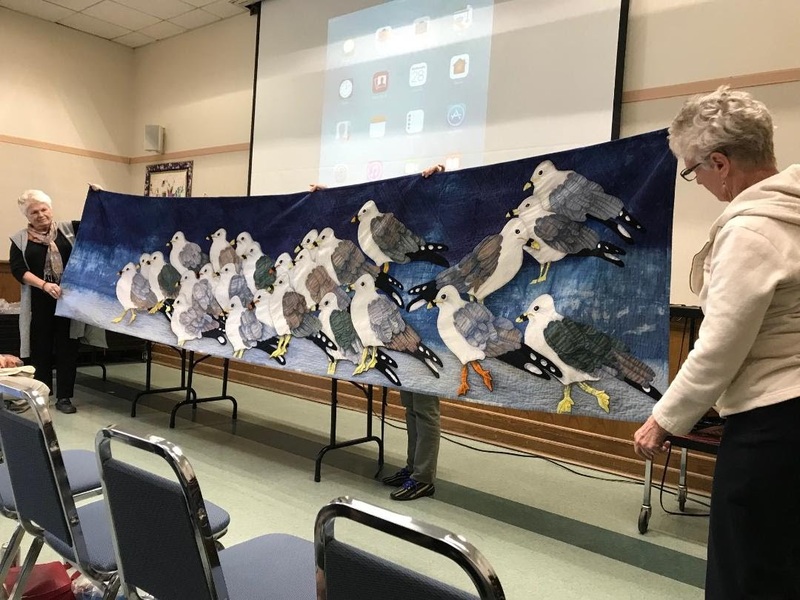 March brought a special visitor -- internationally recognized and yet our own local quilter, Velda Newman, shared her quilts and techniques with Mountain Art Quilters. 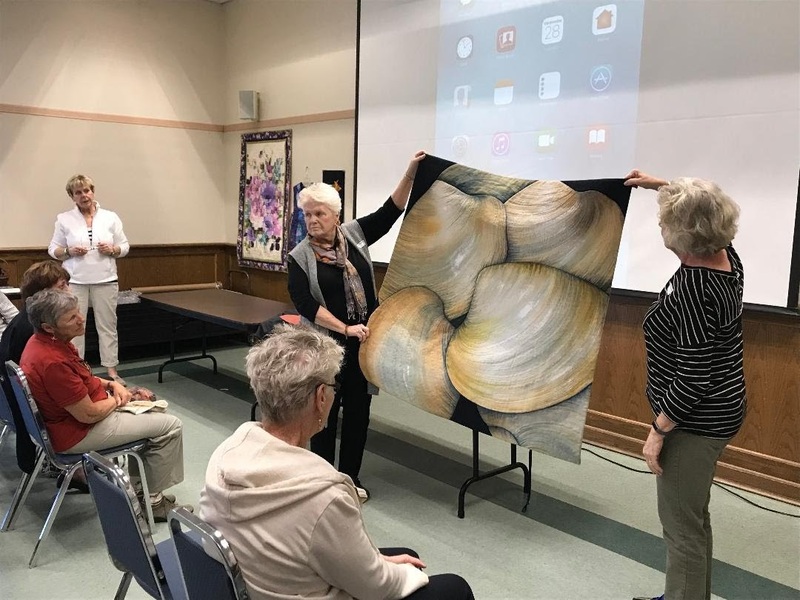 Thank you, Velda, for a stunning presentation. 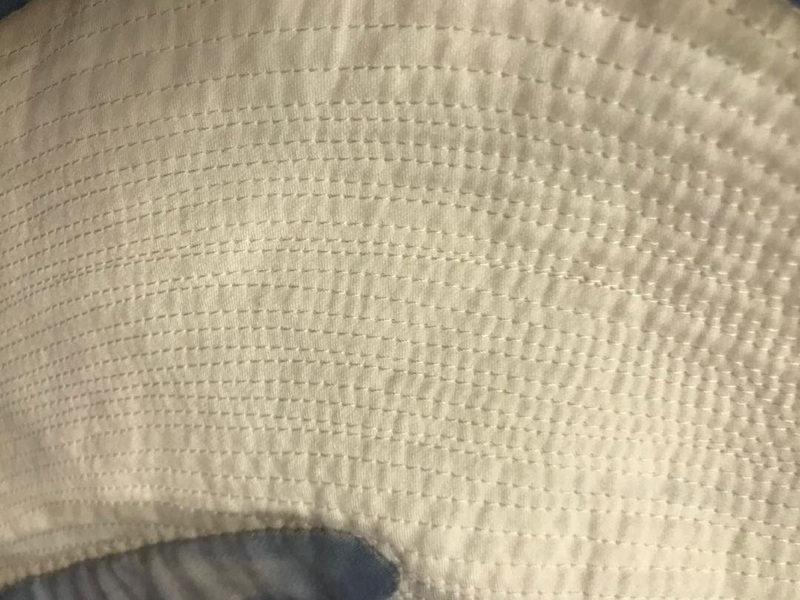 Feel free to come again any time. 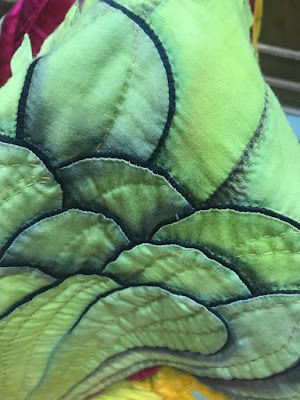 And thank you, Julia Broughman, for your excellent photography. 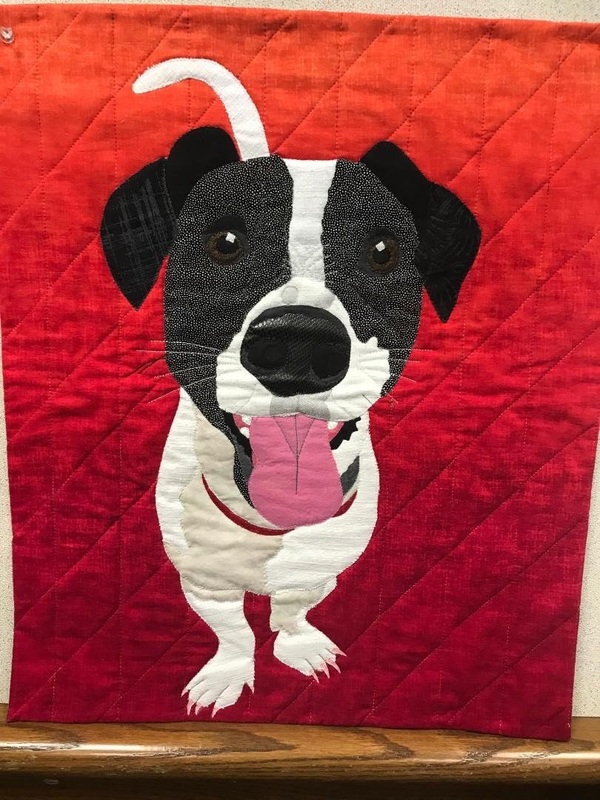 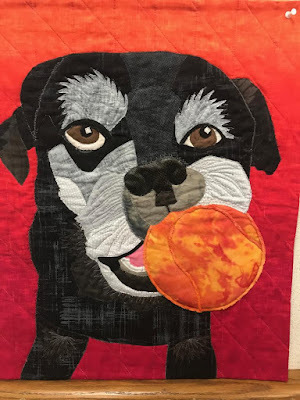 Ardy Tobin shared two dog portrait quilts she created for her son. Such a playful pup! 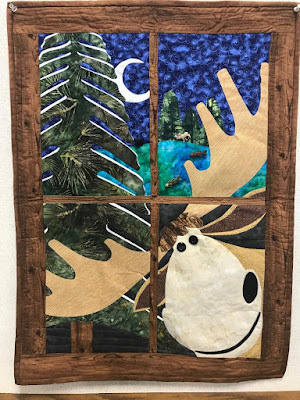 And a moose by Patti Blesso. Seems to have been an animal kind of day. 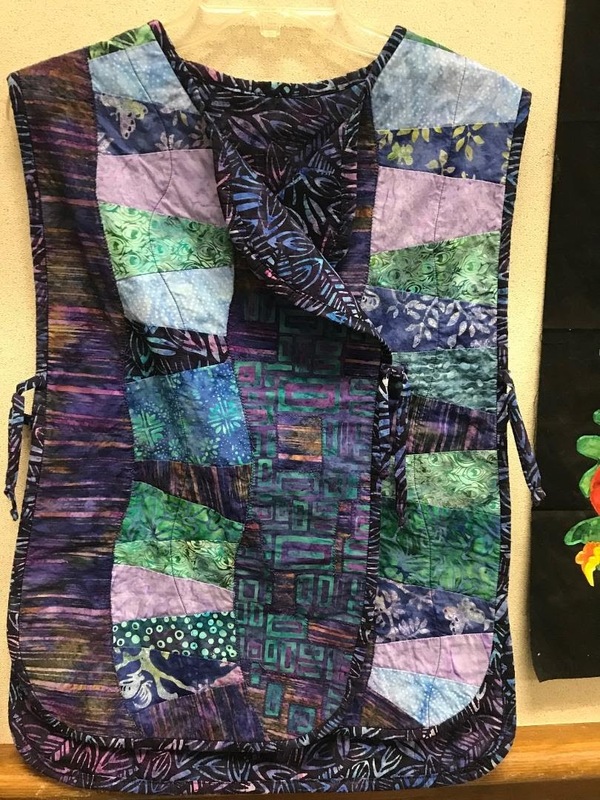 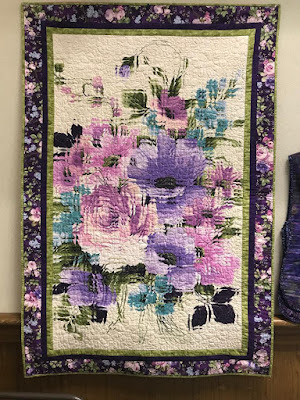 Robi Holmen shared a quilt made from a kit but with her own enhancements . . .
. . . and a vest she created. 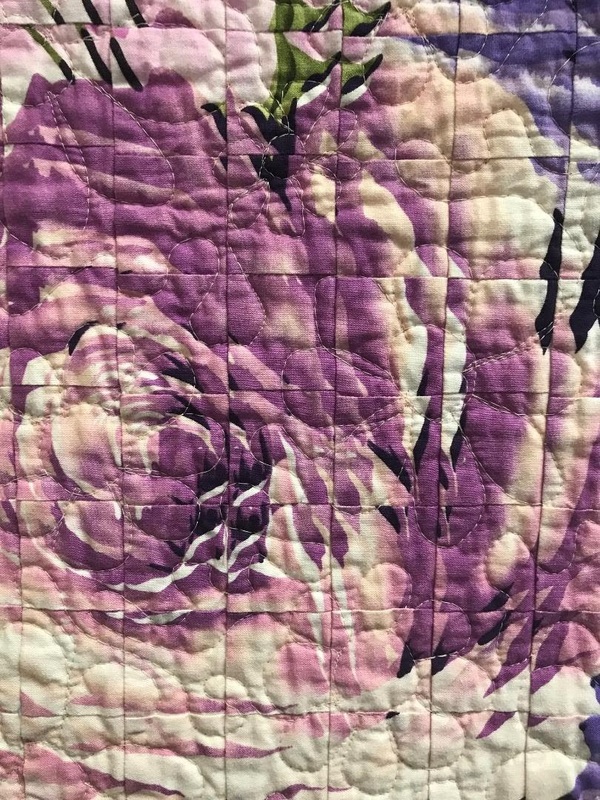 Robi will be teaching a class in this technique -- Fractured Florals -- which is constructed from about three panels. Featured guest, Velda Newman, gave a wonderful presentation featuring her beautiful quilts. 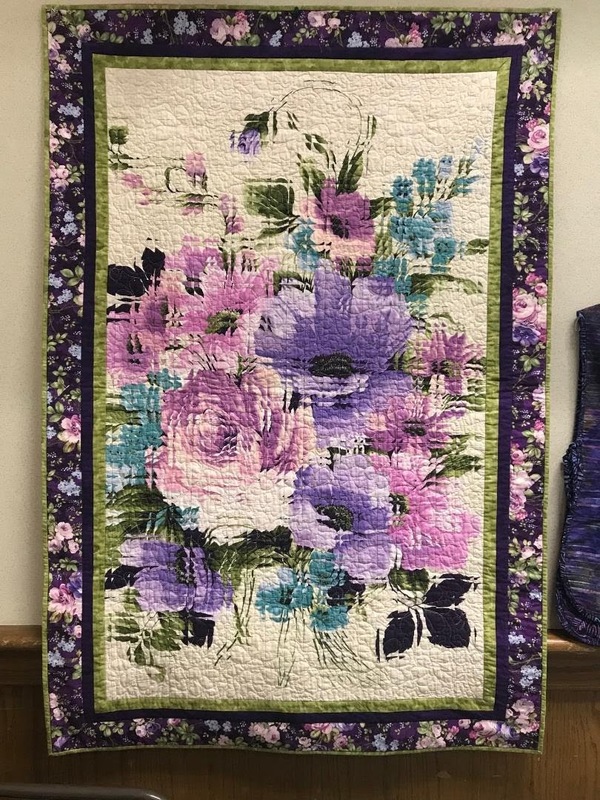 Thank you, Velda!